3herosoft’s DVD to iPod Converter for Mac is an easy-to-use and powerful DVD to iPod converter software that converts to iPod Classic, iPod Nano, iPod Touch, iPhone, iPhone (3G) formats. It easily converts almost any DVD movie to iPod video in MP4, MP4 AVC formats and iPod audio in MP3 and M4A, AAC formats with the latest MPEG-4 video encoding technology. Convert your favorite DVDs to play on your iPod Classic, iPod Nano, iPod Touch, iPhone, iPhone (3G) anytime and anywhere. Powerful Yet Simple – The 3herosoft DVD to iPod Converter for Mac has all the editing options you’ll need, such as: customizing file size, ripping DVD’s (any segment), selecting target subtitles and audio tracks, and so on. 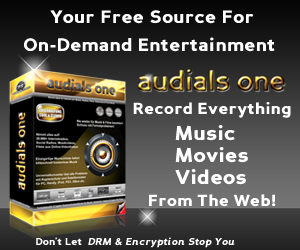 It’s easy to use and faster than ever before – just a few clicks are all it takes to convert your DVD movies to play on all your portable medial players. Download 3herosoft DVD to iPod Converter for Mac and see for your self! Use 3herosoft DVD to iPod Converter for Mac to convert all the DVD movies you have in your collection so you can take them with you and play them anytime on your portable medial players. Keep the kids entertained as they watch their favorite animated adventures when you travel. Catch up on those TV series collections you’ve always wanted to watch while you wait in line at the DMV. Share your favorite movies and TV shows with friends. Being able to take your entire DVD collection with you any where and watch it anytime is just amazing! Credit card, PayPal, and many other payment options accepted. Your shopping safety is guaranteed.